A while ago I got so hungry before going to yoga, that I decided to make this super-easy healthy snack. Normally you’re supposed to avoiding eating or drinking up to 2 hours in advance when doing yoga, but I was just sooo hungry! Cut the half of the avocado and radishes in slices. Cut the pistolet in half and toast it. 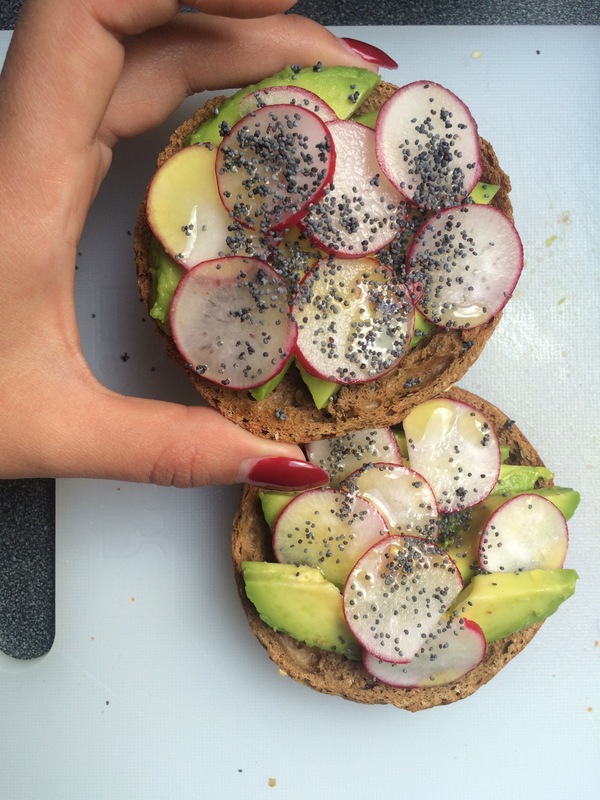 Divide the avocado over the toasts and cover with radishes. Sprinkle some olive oil, salt and pepper over it and finish with sesame seeds.